Rooms are going fast, hurry along and book one for your Valentines Day celebration. . . . Your special someone will be grateful you thought to make sure romance is in the air this Valentines Day! 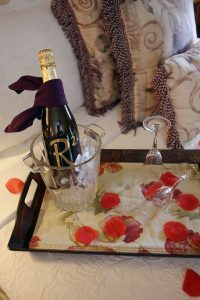 Special packages available in addition to our already famously cozy rooms here at the Inn at Laurita Winery. We never disappoint. Hope to see you soon.